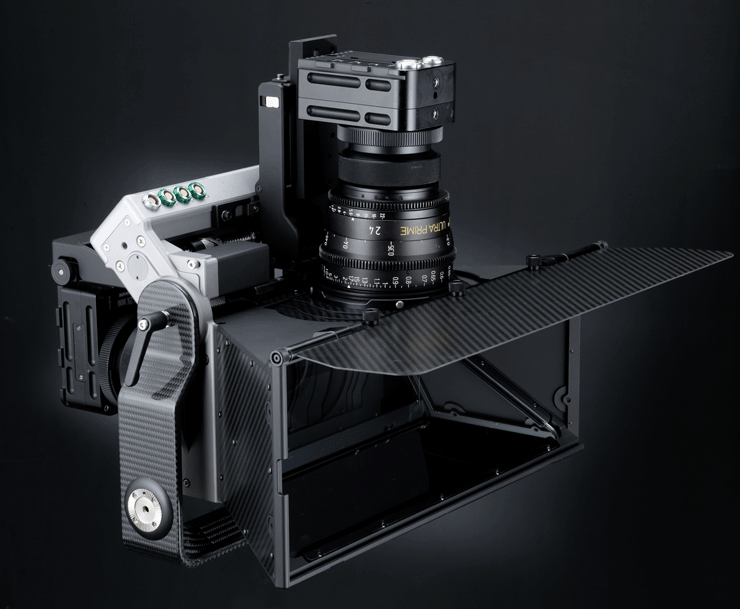 The Screen Plane Production Rig has been completely redesigned in order to be optimized for compact cameras as the Epic, Alexa M, Sony F3, HDC-P1, as well as full-size production cameras like the Alexa or F35. The rig can be used with high-end primes or compact zoom lenses. The Steady-Flex rig is extremely compact and lightweight and therefore ideal as a small production rig as well as for steadycam or hand-held shots or for macro photography. It is designed for compact production cameras such as Epic, SI-2K, Scarlet, upcoming SLRs and others. A carbon fiber support bracket guarantees excellent stiffness combined with a maximum in weight reduction. 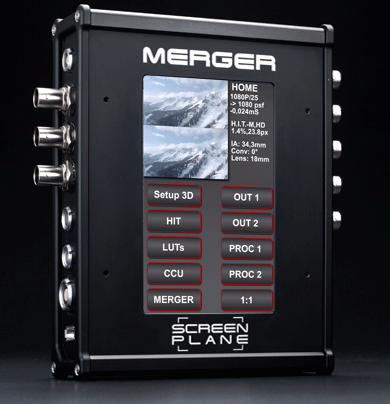 The Merger is far more than a conventional multiplexer…It is the perfect tool for stereo alignment on set – fast, intuitive and user friendly. A touch screen allows to change and recall stored presets within seconds. It supports various display modes like interlaced, mixed, side-by-side, difference, checkerboard, wiggle, anaglyph, split screen etc. and does all required mirroring on both channels in real time. It can previsualize H.I.T. and even allows the amount of horizontal shift to be controlled with H.I.T.Con via a serial protocol from an external source, like a cmotion lens controller. DPC® as a world premiere of an intuitive input device for stereoscopic rigs. For the first time it is now possible to directly input a distance to the screen plane and to the far or near plane via a separate wireless cmotion hand controller. 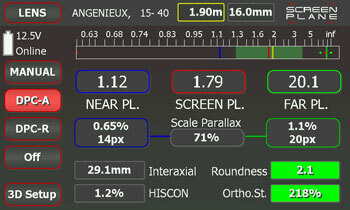 The stereographer can define and change the maximum parallax as well. Based on this input, the system controls the interaxial and convergence or interaxial and H.I.T. in real time. H.I.T.Con automatically controls the amount of horizontal shift (H.I.T.) on both cameras when shooting parallel and is fully integrated into the lens/rig control. It was developed by SCREEN PLANE to give stereographers the same direct control they are used to with mechanical convergence setups. The amount of shifting is calculated in the integrated cmotion 8axis camin and executed in the SCREEN PLANE MERGER to directly see correct stereo on set. This action hand-held rig was originally designed by SCREEN PLANE for the internationally recognized Redbull 3D-Downhill-Project of the Hahnenkamm / Kitzbühel race in 2010. The Snuggle Puggle is ideal for mini HD cameras like the SCREEN PLANE XS-HD and offers an interaxial from 40mm to 90mm (1.57“ to 3.54“). One or two Kenyon KS-8 (or KS-6) gyro stabilizers can be mounted to the system. This entry was posted on Sonntag, November 21st, 2010 at 22:51	and is filed under Stereo 3D and tagged with Screen Plane, Stereo 3D. You can follow any responses to this entry through the RSS 2.0 feed.